A Toyota is a great car for any driver around Avon, Indianapolis, and Plainfield. If you’re ready to get behind the wheel of your very own, but are still asking yourself “where can I find a Toyota dealer near me,” Andy Mohr Toyota is here for you. Shopping for a new car with us isn’t just easy; it’s fun, too. We’re home to a huge selection of Toyota models, including the Camry, Corolla, and Prius. Our team will walk you through our showroom and give you a closer look at all the stylish and well-equipped new cars we offer. If you’re in the market for a dependable used or certified pre-owned car, we have those, too! Plus, we’re happy to offer a variety of car buying and automotive repair services to make your experience at our Toyota dealership even easier. We’ll be more than happy to help you decide which model is the best for you, and our team of finance experts will be here to get you the loan or lease plan you deserve. We’re also home to a state-of-the-art service center. Whenever your new Toyota needs maintenance and repairs, just bring it to us, and we’ll get it back on the road in no time! Our Toyota dealership is proud to serve drivers all over the area, including those in the Avon, Indianapolis, and Plainfield communities. Whether you’re in the market for a new car, or you’re just looking for a dependable place to schedule your next oil change, we’ll be here for you. For more information about our trusted dealership and how we serve our customers with the incredible service they deserve, read our service areas guides featured on this page. They come with key details about our inventory and services. They also include a few fun facts and local interests about the towns around our area. 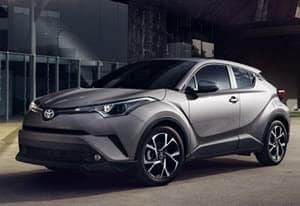 Click on the link for your town to discover how Andy Mohr Toyota can help you get behind the wheel of a new Toyota today. If you have any questions, feel free to contact us.